Celebrate your birthday every day! 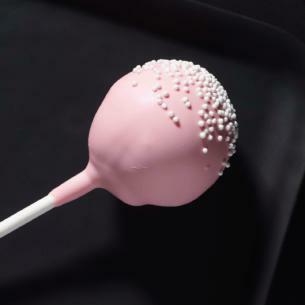 Our Starbucks Petites Birthday Cake Pops are like a party for your palate, with a sweet mix of vanilla cake and icing inside and a fun pink coating with sprinkles on the outside. The tradition of lighting candles on a birthday cake is believed to have originated in 18th century Germany.